Picture this: you’re in a crowded coffee shop because you need scones and free WiFi. You’re working on the next great American novel, but you can’t focus on your masterpiece because of clinking cups, loud chatter, and general commotion that just won’t settle. So, you take out two things: your Elf Emmit headband and your smartphone. You open the free Elf Emmit app, scroll past the meditating and sleep functions, and set your headband to “Concentrate.” Within seconds, you’re feeling its effects, and wearables have helped bring us the next Infinite Jest. It sounds like wishful thinking, but if the Elf Emmit lives up to its claims, then this device could be a game changer for improving focus, sleep, and meditation. Here’s how it works. 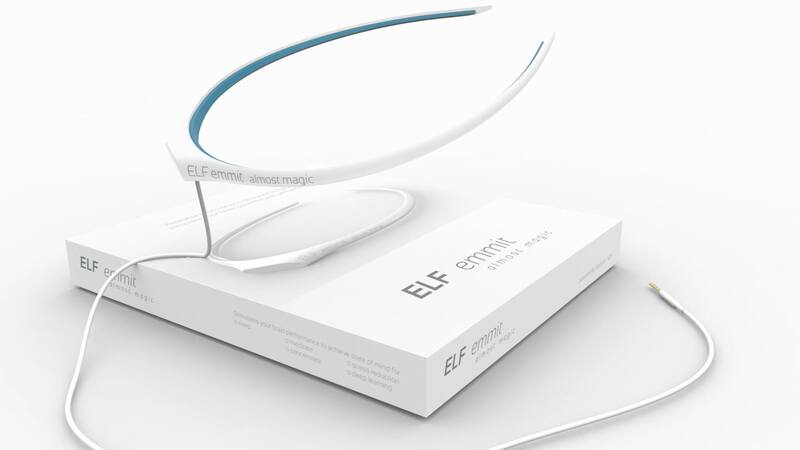 The Elf Emmit uses electromagnetic pulses to “stimulate your mind.” We’ve seen a similar statement from the Halo Sport, which fires energy pulses into your brain’s motor cortex through a pair of snazzy headphones. While the device looks like a simple headband, it contains an internal electromagnetic coil. That coil can be customized to deliver electromagnetic pulses at different frequencies, depending on what you want to accomplish. Sleep better: Elf Emmit promotes delta brain waves and restful sleep. The product’s website states that it uses technology approved by the FDA for medical applications. It’s true that electromagnetic therapy has been used to relieve migraine headaches, and much has been written about the benefits of pulsed electromagnetic field therapy for swelling and pain. 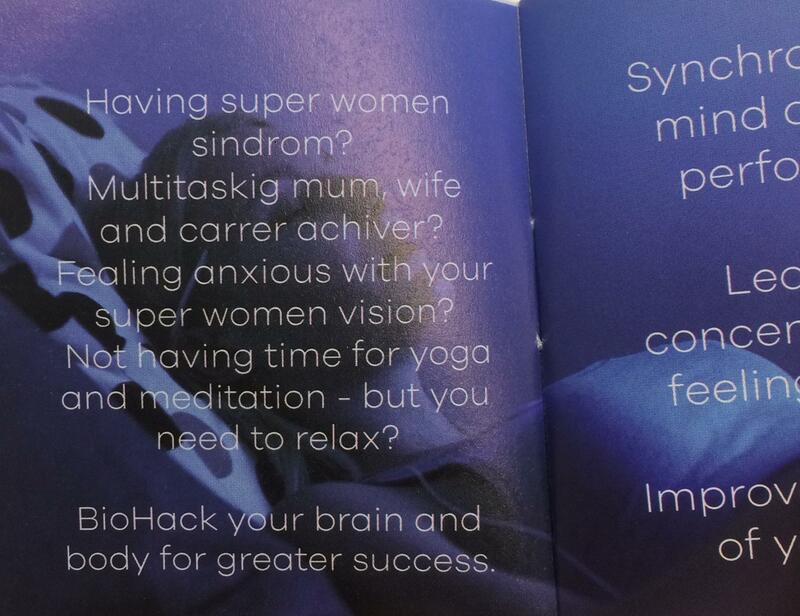 But what about meditation, focus, and sleep? Can a headband really turn us into better versions of ourselves? After a successful Indiegogo fundraiser, Elf Emmits have started shipping, and the WearableZone team recently received one. Have we all become fountains of boundless, writerly productivity? In my case, not so much. Here's my hot take. I have a bad habit of jumping between tasks throughout my day, instead of focusing on completing one task at a time. The end result: I'll finish my day with a bunch of half-finished projects, rather than a completed to-do list. I only wanted the Elf Emmit for its concentration feature, which operates at a frequency that encourages beta waves — the waves associated with active thinking. When I opened the Elf Emmit’s box, I was underwhelmed — from its typo-riddled instructional booklet to the headband’s surprisingly thin plastic, this product needs some serious focus group feedback. Because the material was too smooth to rest securely, it kept slipping down when I tried wearing it on the back of my head. The next version of this headband should include some grip or comb teeth to more firmly attach to the user’s hair. After all, if I’m really going to use a wearable during my day-to-day tasks, I don’t want to have to think about the device. Unfortunately, the current Elf Emmit isn’t frictionless. After downloading the sparse app, I sat at my desk and prepared to power through my morning tasks. The Elf Emmit has a cord that trails from the back of the headband and attaches to your smartphone via the headphone jack (sorry, iPhone 7 users). But take care when you’re seated in an office: the back of my chair kept pulling on the cord, and the headband was light enough that it kept falling down my head and disrupting my workflow. Annoying. I did feel a sort of fuzziness around my head while I was using the Elf Emmit, which I chalked up to brainwave magic. But after just 20 minutes, that fuzziness erupted into a full-on headache. The device is recommended for use around an hour a day, but apparently, my brain can’t handle anything messing with its natural flow. The end result? I was concentrating on the device, not my tasks, and I left my session with a headache. It’s difficult to fully quantify how effective the Elf Emmit is. After all, the mere act of wearing the device (after having dropped a cool $99 on it) might create a placebo effect that makes you feel like you have to be more productive, meditative, or sleepy, depending on which setting you’re using. While I was wearing the device (and before the headache hit me), I did feel like it was easier to focus my attention on one task at a time. However, I had trouble deciding whether it was because I was working with brainwave voodoo — or I just really wanted the Elf Emmit to work. To that end, we took a deep-dive into the Elf Emmit’s features with a few tests to measure whether it’s a legitimate wellness tool — or expensive snake oil. Read our full review here. What do you think about this device? Let us know in the comments! Elf Emmit’s pulses are supposed to help your mind sync up with the tasks you want to accomplish.